Guenzatti, Moffat, Bover signed to extensions; Wright, CÃ¡ceres will not return. 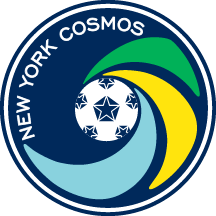 NEW YORK (December 3, 2015) – The New York Cosmos announced today the first offseason adjustments to their roster coming off a championship-winning campaign, their second in three North American Soccer League (NASL) seasons. The club got a head start on securing key players for 2016 by announcing several contract extensions earlier this year, including captain Carlos Mendes and goalkeeper Jimmy Maurer. Seven more players are also already under contract for next season: defenders Hunter Freeman, Rovérsio, Ayoze and Alexis Velela, midfielders Danny Szetela and Andrés Flores and forward Lucky Mkosana. The Cosmos have signed midfielders Sebastián Guenzatti, Adam Moffat and Ruben Bover and forward David Diosa to contract extensions. As per club policy, terms of the deals were not disclosed. Guenzatti, 24, was the fourth-highest goal scorer on the team in 2015, netting four times in 23 appearances. A standout player at Francis Lewis High School in Fresh Meadows, Queens, he signed with the Cosmos on July 5, 2013. Moffat, 29, made 20 appearances and 12 starts for the Cosmos in 2015, scoring twice. The Scottish midfielder is an eight-year veteran of Major League Soccer (MLS), where he scored 12 goals and added six assists in 136 combined appearances for Columbus, Portland, Houston, Seattle and Dallas. Bover, 23, came to the club in April 2015 and began the year with New York Cosmos B, garnering Team MVP honors in an unbeaten, title-winning season in the National Premier Soccer League (NPSL). He was promoted to the first team during the NASL Fall Season, making 12 appearances with one goal and one assist. Diosa, 22, appeared in six matches last season, recording an assist in 307 minutes on the pitch. He played for the Cosmos’ Under-18 and Under-23 squads in 2010 and 2011 before signing with the first team on July 5, 2013. The Cosmos also announced that the contracts of forwards Haji Wright and Kharlton Belmar, defenders Samuel Cáceres and John Neeskens and goalkeeper Keasel Broome have all expired and will not be renewed at this time. Wright, a member of the United States Under-17 National Team, began at the club with Cosmos B. He made three appearances and one start with the first team during the Fall Season, setting up strike partner Lucky Mkosana for a game-winning goal against the Carolina RailHawks on Aug. 30. Cáceres, 26, Neeskens, 22, Broome, 24, and Belmar, 23, all came to the club in 2015. Cáceres and Belmar arrived on loan from Argentine side Nueva Chicago and Portland Timbers 2 of the United Soccer League, respectively. Cáceres joined in February, making fourteen appearances, while Belmar came in October, appearing as a substitute in a single regular season match. Neeskens, born in the U.S. and raised in Barcelona, was elected captain of Cosmos B, guiding the reserve side to an NPSL championship. He was promoted to the first team in September but did not register any NASL minutes. Broome similarly spent time as a starter for Cosmos B but did not see first team action. He led Providence College to a 2014 Big East Championship, playing every minute of every game. The loan of midfielder Leo Fernandes, 23, has expired, but the club is working to keep him and further his development as a player. Coming from the Philadelphia Union of MLS, Fernandes was named the NASL’s Young Player of the Year in 2015. Born in Brazil but raised on Long Island, Fernandes scored 10 goals across all competitions with the Cosmos this past season. The club remains in discussions for contract extensions with forward Gastón Cellerino, midfielder Hagop Chirishian, defenders Hunter Gorskie and Jimmy Mulligan and goalkeepers Kyle Zobeck and Brian Holt. Midfielder Walter Restrepo is still in contract with the Cosmos but has been permitted to explore his options elsewhere.